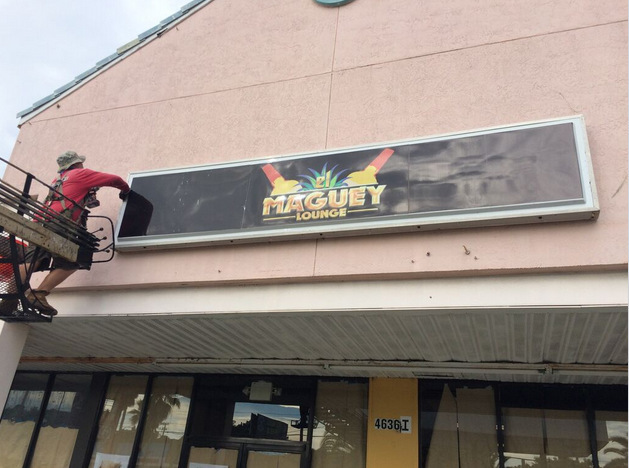 One of the best ways to get a buzz going about your new restaurant is by getting your exterior signage in place as soon as the ink dries on your lease. 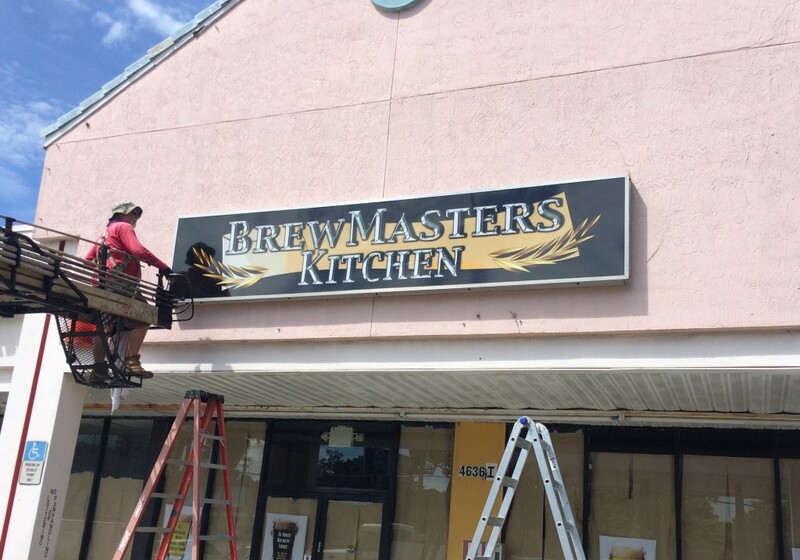 This includes your building sign, monument sign, and any window graphics announcing your upcoming grand opening or that you are “coming soon.” BrewMasters Kitchen realized this, so they contacted the friendly professionals at Citrus Sign Studio for refurbishing cabinet signs in Kissimmee, FL. Located on West Irlo Bronson Memorial Highway in Kissimmee, BrewMasters Kitchen is a new restaurant that is fully stocked with a wide array of American microbrews and produces quality food from local sources. Their vision is to create delicious American cuisine that tastes great and is easy on the wallet. Their menu includes succulent roast beef, ribs, seafood, and chicken entrees. Our mouths are watering just thinking about it! Removing the old sign was a snap! 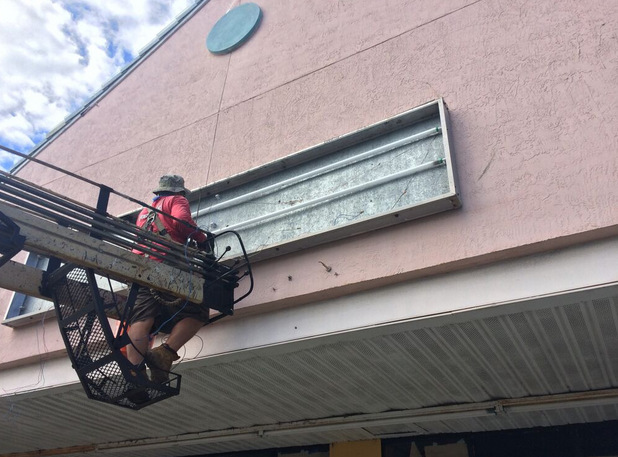 When such a great new restaurant that seeks to give back to the community came to us for lightbox cabinet sign refacing in Kissimmee, FL, we got right down to work! Their new venue already had a lightbox cabinet sign installed with the name of the previous tenants on the marker face. 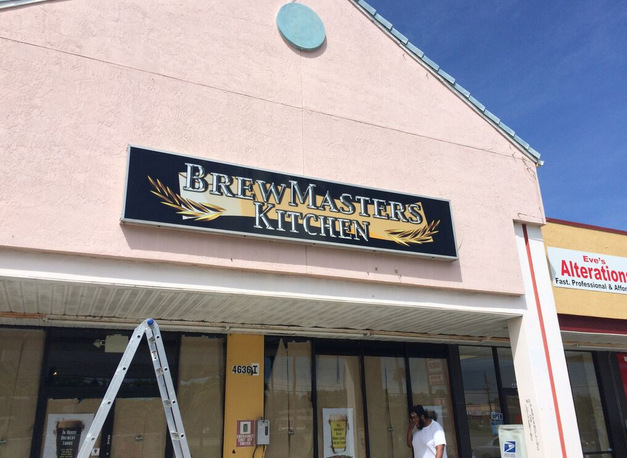 We needed to remove the old occupant’s logo and replace it with the BrewMasters Kitchen’s branding. 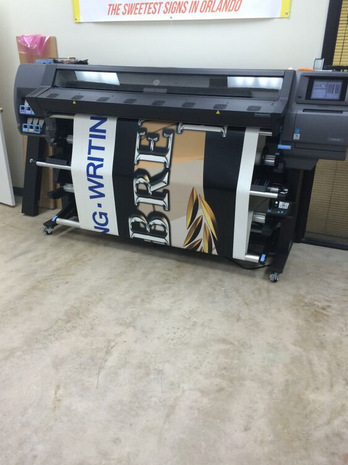 Printing the new sign face for the cabinet! 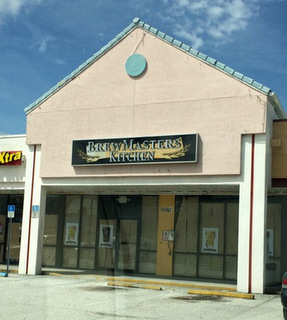 After listening to BrewMasters Kitchen’s goals, we let them know that they could save money by refurbishing the existing sign rather than completely replacing it with a new marker. They were on board, so we fabricated a new sign face for the existing lightbox. We then removed the old face and refurbished all of the existing electrical components. Finally, we installed their new markers for maximum impact. In the end, they were totally happy with the job we did. Many sign companies will look for ways to make as much money off of you as possible on a particular project. That is not the way we work at Citrus Sign Studio. We know that if we find the most affordable signage solution that leaves your organization looking great, you will come back to us when you need more signs as well as tell others in the business community about us. Plus, we can sleep better at night knowing we served our clients to the best of our abilities. This philosophy has helped us become one of the most successful sign companies in the Greater Orlando area. Whether you are a new business or your signage is just becoming faded or cracked, we can reface and refurbish your markers. Even signs using the latest materials and technology will start to show their age after about five years. Before these signs reflect poorly upon your company, we can perform maintenance to keep them looking like new and to ensure the electrical components never conk out on you. 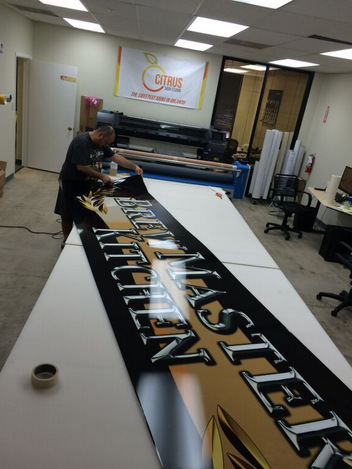 Are you in need of cabinet sign repairs, refacing, or refurbishing? Do not wait another day before calling our friendly experts. Contact us today for a no strings attached meeting.